Have you noticed that cheap consumer-level home internet packages are now being offered at speeds that seem to rival or even match many corporate internet connection packages? Why would you want to pay more for a corporate leased line internet link when the bandwidth that is offered looks pretty much the same? Well, both the good news and bad is that you get what you pay for. So if you are using a leased line, you are getting a more functional and quality service, and if you have a consumer-level connection for corporate use, chances are that you encounter limitations and issues in your network. But what is the difference? One big difference between home internet packages and leased lines are the number of clients that are actually sharing the same bandwidth as you. When you use your internet connection, you rarely use it to its full capacity. Therefore, hundreds and thousands of users can use the same large connection, with some using their full capacity and most others using only a fraction of their limit. This is necessary to reduce investment costs and take advantage of the economy of scale to offer affordable internet to the masses. However, this cost-effective setup comes at a cost. It means that the internet bandwidth you pay for is not guaranteed to be available or stable. When too many clients decide to use a lot of bandwidth at the same time, your internet speeds will frustratingly drop. Leased lines, on the other hand, have dedicated bandwidth on separate infrastructure that is set aside and guaranteed just for you so that your company has it available whenever it is needed. Unlike consumer-level internet packages, corporate leased lines come with a Service Level Agreement, or “SLA”. This is a service agreement included in the package to ensure that if and when there are any problems with the connection, support will be provided in a timely manner to restore normal service. If there is a problem with your home connection, the internet company might send someone that day or another day depending on their schedule. This is less important when you simply want to watch Netflix at home, and much more important when your whole company depends on the internet connection to function and do their work. 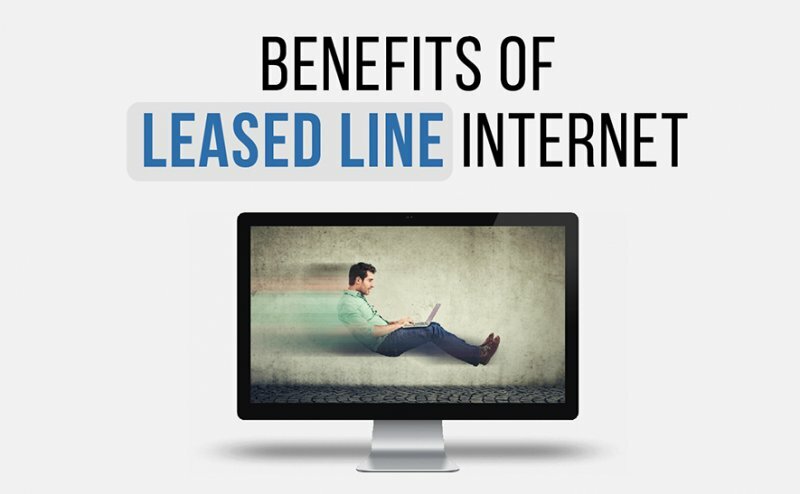 Leased lines’ connectivity are symmetric, which means that the upload speed (data you send) is the same as the download speed (data you receive). For most home internet connections, download speeds are the most important and upload speed is not heavily needed or used, and so not much upload bandwidth is included in the packages. Businesses, however, do need their upload speed because they regularly both receive and send lots of information between offices, clients, and vendors, etc. Consumer-level connections come in cookie-cutter packages that are meant for simple everyday internet usage. While this is just fine for home users, businesses with IT infrastructure usually need more special features and customization to use certain business services that they rely on. Some special features that are not available with home internet packages can include: 1) Dedicated IP Addresses that allow things like inter-office connections, communication systems, and apps to work. 2) Custom Rout Optimization that allows you to optimize the path that your internet traffic takes around the globe. 3) IPSEC Tunneling which allows the use of private corporate VPN services. So if you are using a leased line, you don’t need to fret that you are being ripped off by your internet provider with your expensive company package when you see consumer packages offering similar looking bandwidth speeds. And if your company is using a consumer-level package and are experiencing frustration with your internet capabilities, this may be natural growing pains and a sign that it’s time for an upgrade to a leased line.